Get ready for an exciting and futuristic take on the go-karting experience – introducing GLO-KARTING™ at K1 Speed! 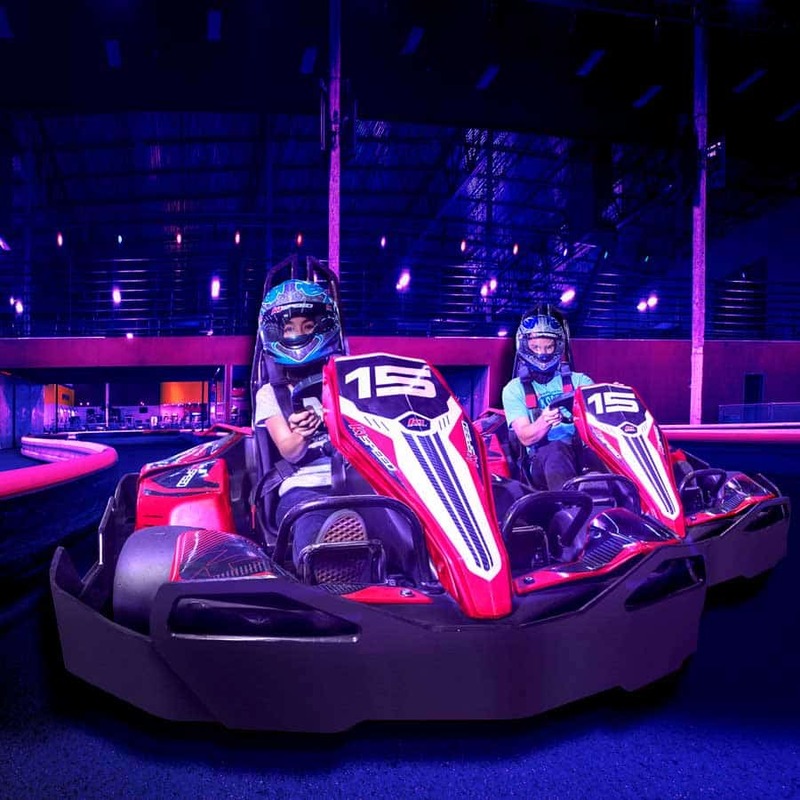 If you’ve ever tried atomic or cosmic bowling and enjoy the transformation that a little blacklight and glow-in-the-dark paint can accomplish, then you’re going to LOVE this otherworldly racing experience at K1 Speed! Three of our centers – Carlsbad, Orlando, and Kapolei – has had all of their barriers and electric go-karts upgraded with the latest glow-in-the-dark technology. In addition, powerful black lights have been installed above the track. When we turn off our regular lights and turn on the black lights, K1 Speed morphs into something akin to an interstellar space station. You’re going to love racing in the dark with our electric karts that already sound like spaceships – it’s unlike anything you’ve experienced before! This illuminating experience does not cost any more than our regular Arrive & Drive racing, and any stored races on your account can be used towards this exhilarating adventure. GLO-KARTING™ is available Monday, Wednesday and Friday evenings from 8:00pm to 10:00pm.